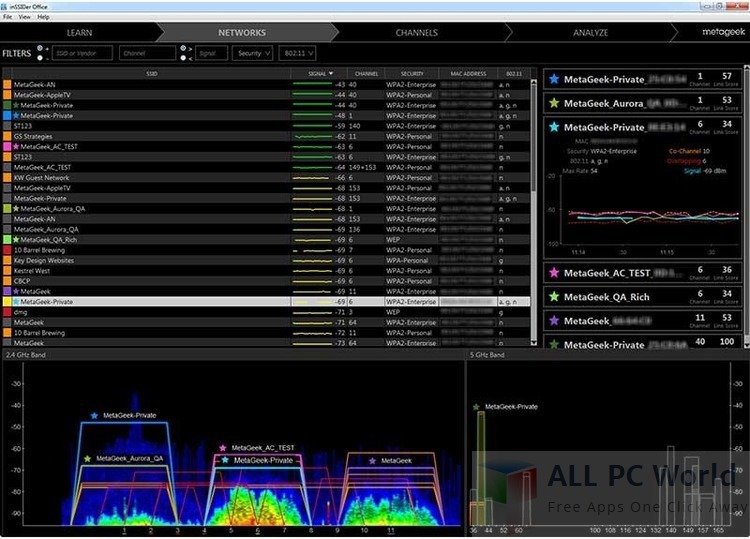 inSSIDer 4.3.8 is a powerful wireless troubleshooting software to get maxium network performance. This free download is standalone installer of inSSIDer for Windows 32bit and 64bit. If your network doesn’t perform well and stucks sometimes, then their is a problem with your network connection. You must consider repairing it, in order to detect the network problem you will need to install this software which will detects all the nearby networks as well as the connected network. 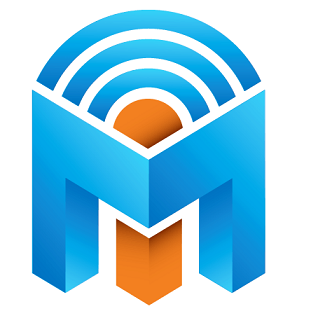 It will show the network strength, change the place of your device to achieve the maximum signal strength. You may need to chagne the place of your access point or router so that it throw signals perfectly. An easy to use interface is provided by the tool which scans the surrounding networks, filter them accordingly and display the best possible access point to connect. You can troubleshoot clogged WiFi network along with highlighting networks with better signal strength. Track the strength of the received signals in dBm, sort the results according to MAC address, SSID, Chanel, Last time seen, RSSI, and export Wifi and GPS data in KML format. Click the below link to download the standalone installer of inSSIDer for Windows x86 and x64 architecture and compatible with all the new and older versions of Windows.